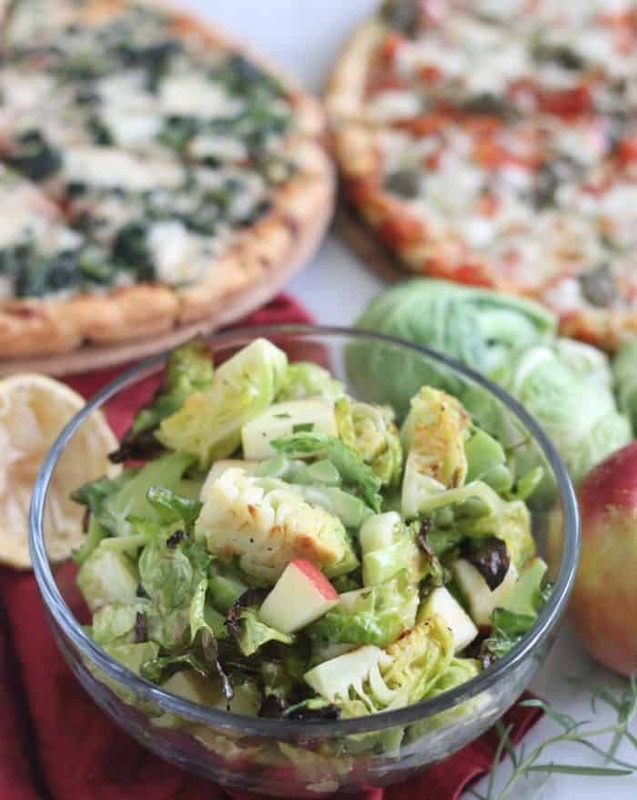 Try this Roasted Brussels Sprouts and Apple Salad paired with pizza for a delicious, balanced, and satisfying meal. 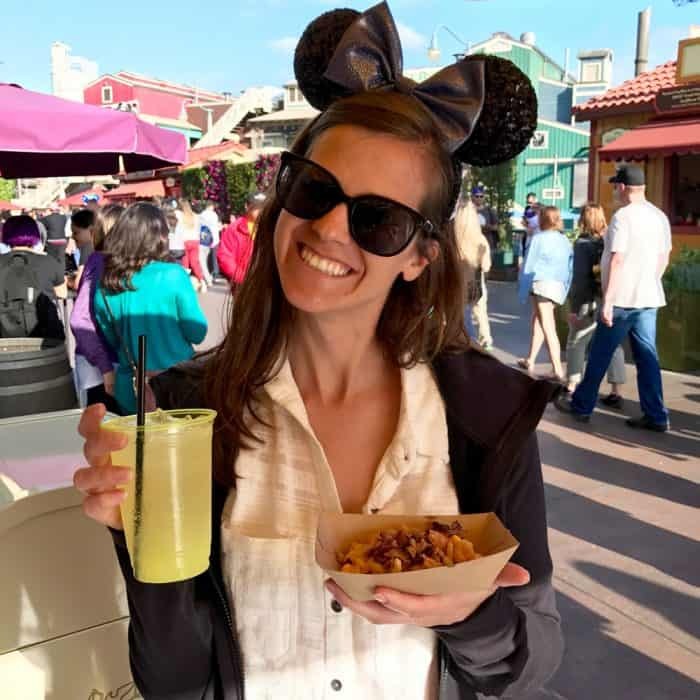 Don’t forget the fruit bars and your favorite bubbly drink for dessert! 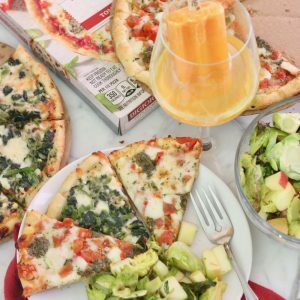 Disclosure: I worked with DiGiorno and Outshine on this post to help spread the word about Nestle’s Balance Your Plate program. All thoughts and opinions are my own. 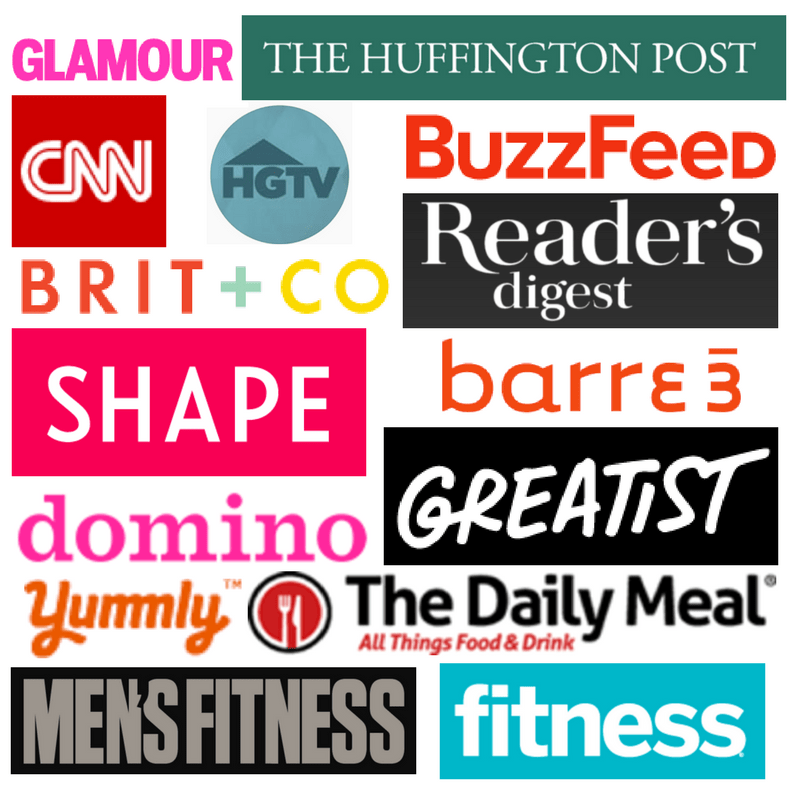 These partnerships help make Living Well Kitchen a reality, and I appreciate your support of the brands I love! 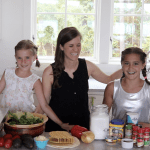 After spending hours upon hours working with my grandmother, Nan, on our cookbook, I realized that entertaining doesn’t have to be some elaborate process. 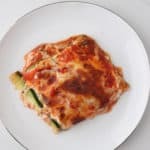 You can have an amazing meal without spending hours in the kitchen or a lot of money on food. Nan loves to find store-bought shortcuts and put her own spin on them. So I channeled my inner-Nan to become an entertaining queen. My latest entertaining endeavor? Girls’ night in — because sometimes you just want to eat pizza and catch up with friends in the comfort of your own home. One little problem… delivery pizza, salty snacks, and lots of candy — you know, the usual girls’ night in suspects — don’t always leave me feeling my best. A fun night can quickly be ruined when you wake up with a stomach ache and no energy because the only veggie you had the night before was pizza sauce and you barely had any water. But don’t worry y’all, I got you! 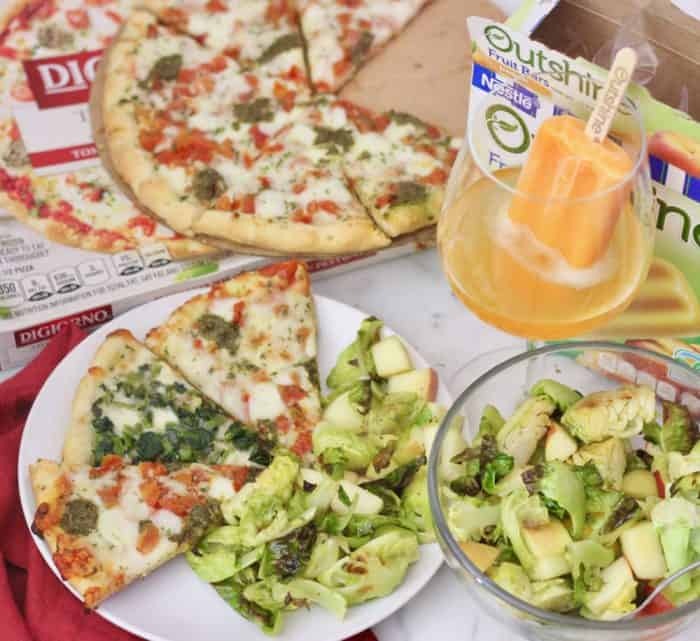 Here’s the solution I came up with… I still threw a pizza party but with my favorite DiGiorno Thin & Crispy pizzas paired with a Roasted Brussel Sprouts and Apple Salad. 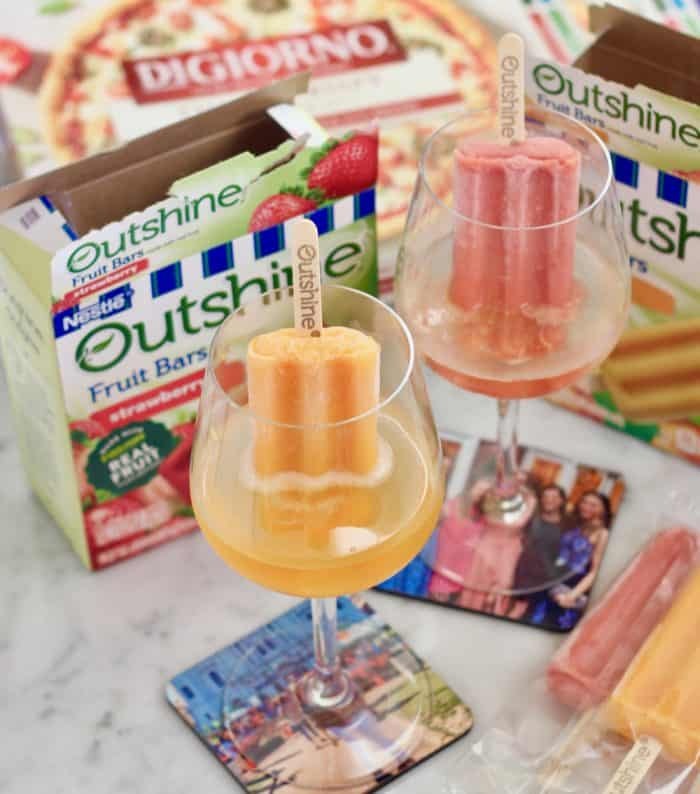 We topped off the night with the easiest dessert ever: Outshine fruit bars in bubbly. 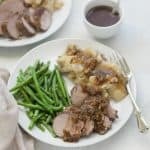 This meal made for a delightful balance of delicious and nourishing — and just the right amount of effort. 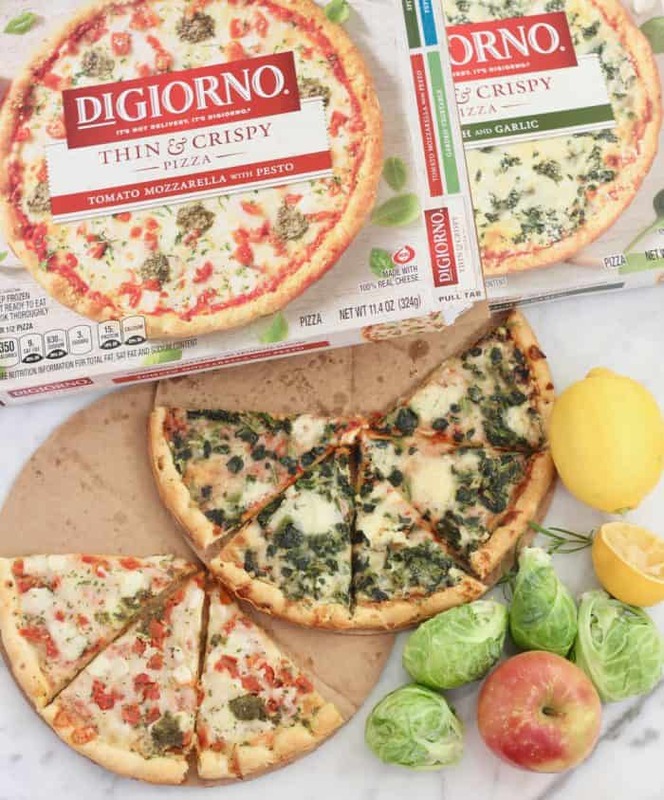 I love frozen pizza for its crowd-pleasing convenience, and now DiGiorno has these scrumptious Thin & Crispy pizzas that are not only tasty but also jump-start your meal with a few veggies on top. 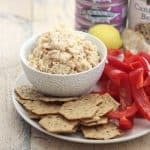 Add a fruit and veggie side, and you’ve got a delish, balanced plate. 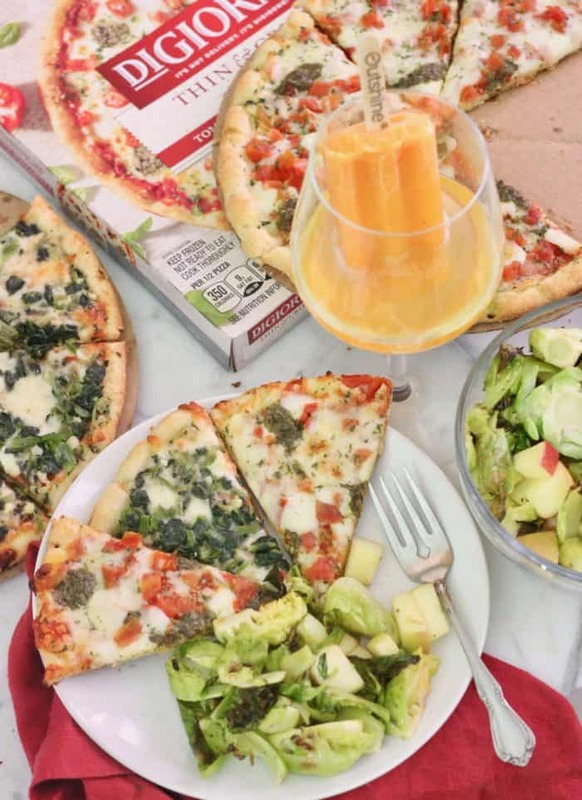 For the past few years, DiGiorno has been improving the nutritional value of their pizzas. Decreasing sodium, increasing veggies, and removing artificial flavors — all while keeping their pizzas up to your tastebuds’ standards. I like to buy a few different flavors to make sure everyone has options. This time I picked the Tomato Mozzarella with Pesto and the Spinach and Garlic varieties. Something I really love is that no one is going to leave feeling deprived. And when you add in veggies on the side, you have a filling and satisfying meal that will leave your guests happy. No one is going to accuse you of feeding them rabbit food, and no one will send evil bitmojis dramatizing how bad they feel the next day. 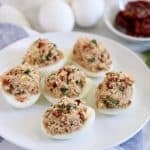 stuff in these babies)! That means fruit is listed as the first ingredient! And one more bonus: they’re an excellent source of vitamin C.
And guess what! 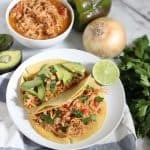 This entire meal takes 35 minutes to make from the very start to eating. And y’all… I am so slow in the kitchen. But I tested it twice and both times got the entire meal ready before it hit 35 minutes. 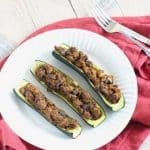 Step 10:Â serve & enjoy! While the pizzas are baking, you can wash the cutting board and get the water cups, wine glasses & plates ready for serving (if you don’t have those already set up). You get to relax and enjoy the company of your friends. Everyone else gets to spend time with you without feeling guilty for not helping or not cleaning up. 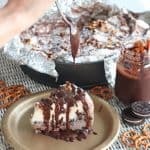 Instead, they can enjoy spending their time deciding whether they will sip on their Outshine bar as it melts into their bubbly, or eat it first then sip on their beverage. Try this Roasted Brussels Sprouts and Apple Salad paired with pizza for a delicious, balanced, and satisfying meal. Don't forget the fruit bars and your favorite bubbly drink for dessert! Make sure the oven racks are in the middle of the oven. Preheat the oven to 400*F. Line a baking sheet with parchment paper or foil for easier cleanup. Toss the chopped brussels sprouts with one tablespoon of olive oil and 1/8 teaspoon salt on the baking sheet. 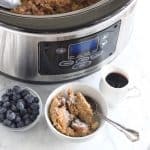 Spread in a single layer, and bake in the preheated oven for 15 minutes. 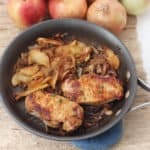 Meanwhile, toss the apples, lemon juice, black pepper, minced rosemary, remaining 1/2 teaspoon salt, and remaining tablespoon oil together in a glass or plastic bowl. Set aside. After the brussels sprouts have been roasting for 15 minutes, stir. Transfer back into the oven. Put the pizzas onto the other racks in the oven. Bake everything for 13-15 minutes until done. Remove brussels sprouts and pizzas from the oven. Toss roasted brussels sprouts with apples and dressing. Slice pizzas, and serve. Enjoy! 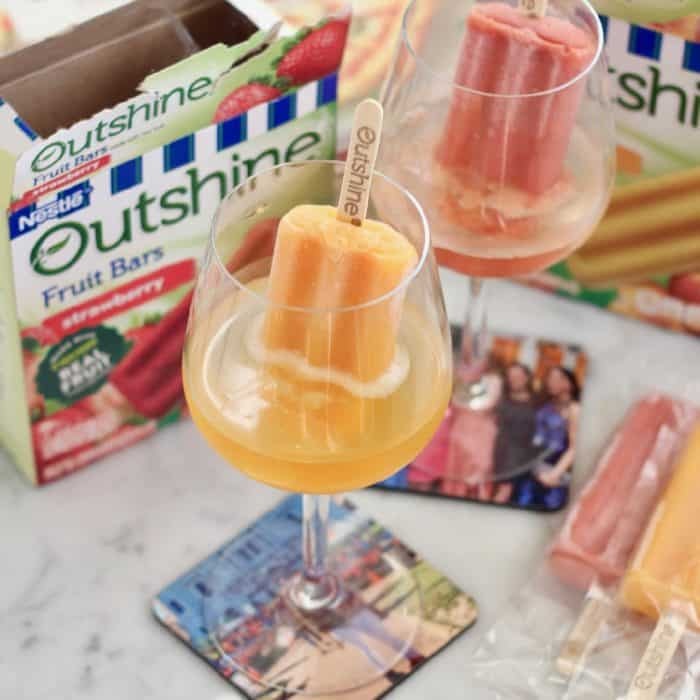 *For an easy and fun beverage, pair with Outshine fruit bars and your favorite bubbly drink. You'll need 4 to 6 Outshine fruit bars per bottle of bubbly. Fun fact: if you are serving gluten free guests, DiGiorno has a gluten free product line, called Ultra Thin, that also tastes great! The Four Cheese is my personal fave. As always, don’t forget to Balance Your Plate with a side of veggies/fruit and some water.